The Carl Nielsen and Anne Marie Carl-Nielsen Scholarship, founded in 1957, is the largest single honorary prize awarded to Danish artists. The prize is awarded every second year to Danish composers and musicians, and every other year to Danish sculptors, in special recognition of their artistic work and to encourage and support the individual artist’s future work. In 2012 the prize-winners were Elmgreen & Dragset, Nina Saunders and Lilibeth Cuenca Rasmussen. 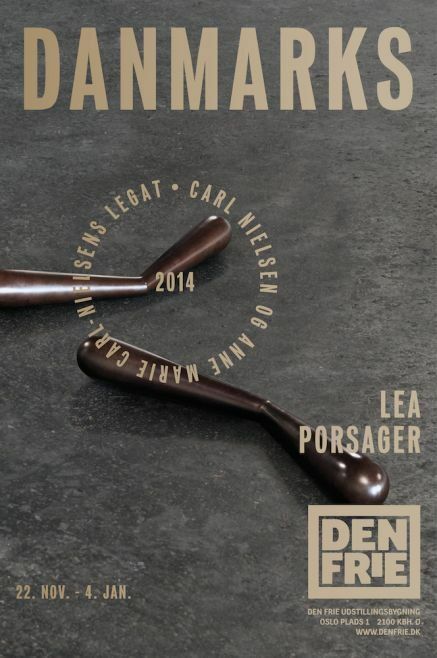 The award winners this year are Lea Porsager (b. 1981), Marianne Jørgensen (b. 1959) and the artist group Superflex – Jakob Fenger (b. 1968), Rasmus Nielsen (b. 1969) and Bjørnstjerne Christiansen (b. 1969). Each of the three recipients is awarded an honorary grant of 600,000 tax-free Danish kroner. To celebrate the award, Den Frie Centre of Contemporary Art proudly presents an exhibition of both new and older works by the award winners. The grant is awarded in acknowledgement of the artists’ achievements to date, and in support of their future work. Lea Porsager graduated form The Royal Danish Academy of Fine Arts in 2010 and is one of Denmark’s leading younger artists. With a complex theoretical framework and a strict sculptural form many of her projects focus on the occult, the schizophrenic, the paranoid and the spiritual, like Anatta Experiment, which was exhibited at dOCUMENTA(13) in Kassel in 2012. The work is based on an experiment conducted in the villa Casa Anatta at Monte Verità (‘The Mountain of Truth’) in Switzerland. In the early 1900s Monte Verità was a colony for anarchists, Dadaists, theosophists, psychoanalysts and occultists. In the exhibition at Den Frie Porsager exhibits the work, albeit in a deconstructed form. The newly produced CUT-SPLICE SUPERCLUSTER, inspired by propeller technology, will also be shown. The work consists of various severed propeller wings placed on the floor as abstract forms accompanied by a text roughly hewn in the walls of Den Frie. Marianne Jørgensen’s art is based on patterns in our ways of life and our relationships to our surroundings. With organic formations sown with selected kinds of grass and other vegetation, she brings concepts like ‘the periphery and ‘urbanity’ to the agenda. Marianne Jørgensen studied at The Jutland Art Academy from 1981-85. With clear references to Land Art, her works are often processual, extending over several years and as a result cannot and should not be seen as completed, distinct works of art. In the exhibition at Den Frie, she exhibits a selection of highly distinct works and projects, from newly produced works to older works in materials like clay, plaster of Paris, embroidery, flowers, paper, etc. Several of the works are exhibited for the first time, offering unique insight into Marianne Jørgensen’s artistic development and extensive practice as an artist. Even though numerous museums in Denmark and abroad have Superflex works in their collections, their work is usually initiated and rooted in social, economic and political power structures beyond the confines of the art institution. They themselves call their works ‘tools’, which often function as solutions to social issues. Their works range from biogas units, graphic statements like the much debated ‘Foreigners, Please Don’t Leave Us Alone With The Danes’ and videos like the famous FLOODED MCDONALDS, to the production of FREE BEER and GUARANA POWER. All their works share a relationship to and actively intervene in real social relationships and contexts. Their works are often not easily classifiable as art in any traditional sense, drawing instead on the readymade tradition and relational aesthetics, which the work made specifically for this occasion is another example of. Superflex was founded in 1993 and all three of its members graduated from The Royal Danish Academy of Fine Arts from 1999-2000.